MI Confidential is out with A NEW ISSUE that, among things, includes features on stuntman/second unit director Vic Armstrong and former United Artists executive David V. Picker. Armstrong worked on the 007 film series in such films as You Only Live Twice and On Her Majesty’s Secret Service. He was interviewed for John Cork-directed documentaries about those movies, providing some behind-the-scenes perspective about how stunts were performed. From 1997-2002, Armstrong assumed the helm as stunt coordinator and second unit director for three Bond films starring Pierce Brosnan. Picker was among the UA executives who reached a deal in 1961 with producers Albert R. Broccoli and Harry Saltzman to get the 007 film series started. 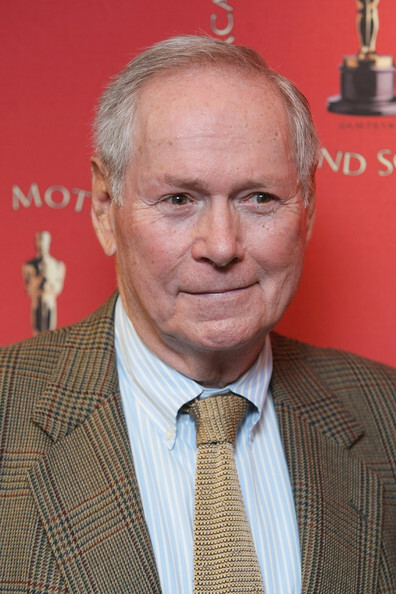 His memoirs were published last year, including A CHAPTER ON THE BOND FILM SERIES. Also included in the issue are stories about Lana Wood and her experiences filming Diamonds Are Forever and Ian Fleming’s taste in cars. The price for MI Confidential No. 25 is 7 British pounds, $11 or 8.50 euros. 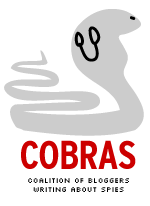 For more information about the contents or to order, CLICK HERE. David V. Picker, the former United Artists executive, provides some interesting behind-the-scenes 007 background in his memoir about his long film career. Among them: Robert Shaw’s name surfaced in the earliest stages of casting Bond; Dr. No really cost $1.35 million, not the $1.1 million it had been budgeted for; and producers Albert R. Broccoli and Harry Saltzman started clamoring to renegotiate their deal with UA shortly after From Russia With Love was released. That’s all part of the James Bond chapter in MUSTS, MAYBES AND NEVERS. Picker, 82, was in his early 30s and head of production for UA when it negotiated a deal with Broccoli and Saltzman in 1961. He was the only one on the UA side who had read the Ian Fleming novels. The Bond chapter in the memoir expands on comments he has made in documentaries such as Inside Dr. No and Everything Or Nothing. Picker doesn’t provide much in the way of details about Shaw, who played Red Grant in From Russia With Love, as a potential Bond. Broccoli and Saltzman were conducting the search and UA gave the producers a lot of a leeway. UA didn’t see anything in detail until Sean Connery was presented, according to Picker’s account. The former executive has more to say about the budget. Columbia Pictures, which had released a number of Broccoli’s U.K.-produced films in the ’50s, wasn’t enthusiastic but was willing to provide a budget of $300,000 to $400,000, according to Picker. UA agreed to the $1.1 million. Just before the start of filming on Dr. No, the final budget from Broccoli and Saltzman was for $250,000 more. “In today’s world that may not seem like a lot of money, but then it was a very big deal,” Picker writes. The author describes some subterfuge, enlisting the help of his uncle, Arnold Picker, one of the UA partners, to get the higher budget implemented. Picker describes how he took the lead at UA to get Connery back for Diamonds Are Forever, a film he credits with saving the franchise. Picker does make one factual error in the chapter, listing Guy Hamilton as the director of From Russia With Love, instead of Terence Young. That aside, the chapter is an interesting read. The UA side of the Bond story often doesn’t get told and Picker’s viewpoint is worth checking out. UPDATE: Non-007 reasons to read Picker’s memoir: anecdotes about how Stanley Kramer’s first cut of It’s a Mad, Mad, Mad, Mad World was 4:01 and the director vowed not to cut one frame; the backstory behind the movies The Beatles made for UA; how UA passed on movies such as The Graduate and American Graffiti. And much, much more. Doing a documentary about the James Bond film series, on the surface, would seem to be daunting. After all, some would say, is there really anything left to be said? The answer is yes, and, for the most part, director Stevan Riley does so with his Everything Or Nothing: The Untold Story of 007. At the same time, it’s not the definitive story and there is one major, inexplicable omission. On the plus side, and the positives are overwhelming, the 98-minute documentary, moves quickly and tells it story efficiently. It gives James Bond creator Ian Fleming and founding 007 film co-producer Harry Saltzman their full due, something that HASN’T ALWAYS HAPPENED DURING THE 50TH ANNIVERSARY YEAR of the Bond film series. The film also makes excellent use of 007 film scores, especially those composed by John Barry. 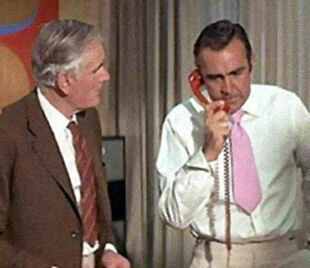 What’s more, there are glimpses of candor: one-time 007 George Lazenby talking at length how he squandered the opportunity of a lifetime; former United Artists executive David V. Picker expressing exasperation that Saltzman and partner Albert R. Broccoli re-negotiated their deal with UA multiple times while letting Sean Connery get away; current-Eon Productions co-boss Barbara Brocoli dismissing her father’s former partner, Irving Allen, as a “blowhard” without naming him; how Saltzman favored hiring Roger Moore as 007 while Broccoli initially opposed the move; and how Kevin McClory, who won the film rights to Thunderball in court, lurked as a recurring foe to Eon Productions. The latter, though, leads up to the one omission that’s hard to explain — because had it been included would have reinforced one piece of 007 history that’s explored in detail. Much of the first half of the documentary deals with how Connery felt he had been exploited by Broccoli and Saltzman, to the point where the star refused to do anything on the set of You Only Live Twice as long as Saltzman was present. What’s the omission? 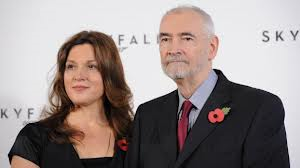 The documentary never mentions Irving Allen beyond the one Barbara Broccoli comment. Albert Broccoli was partner with Allen for years, so the breakup probably wasn’t very comfortable. But more importantly, once Allen was proven wrong in his opinion of James Bond — Allen thought the character wasn’t movie material — the producer ended up producing THE MATT HELM MOVIES RELEASED BY COLUMBIA PICTURES. To get that series off the ground, Allen had to make Dean Martin a full partner and that, in turn, meant that Martin got paid more for The Silencers than Connery did for Thunderball. The documentary goes into great detail about Connery felt he was being exploited. The Silencers is Exhibit A and Broccoli’s former partner Allen was a major player. As the cliche goes, Irony is so ironic. That would have been a great point to make. Also, it would have been interesting to ask the following questions: Ms. Broccoli, your father’s former partner did the Matt Helm movies where Dean Martin got paid more than Sean Connery. Could that have contributed to the way Connery felt about his Bond salary? Or: Mr. Picker, what was your reaction when you found out Dean Martin got paid more for doing Matt Helm than Sean Connery got for playing James Bond? The answers would have enlivened the documentary even more, we suspect. Also, the documentary’s candor seems to run short concerning later movies. It talks about the 2006 Casino Royale while not discussing Quantum of Solace very much, aside from a few quick clips. If it sounds like we’re ragging on Everything Or Nothing, we’re not. It’s very well done. It even, for a Bond fan, flirts with perfection. There are some other omissions (there’s basically no mention of the spoof 1967 Casino Royale or how American John Gavin was signed to do Diamonds Are Forever before Connery came back). 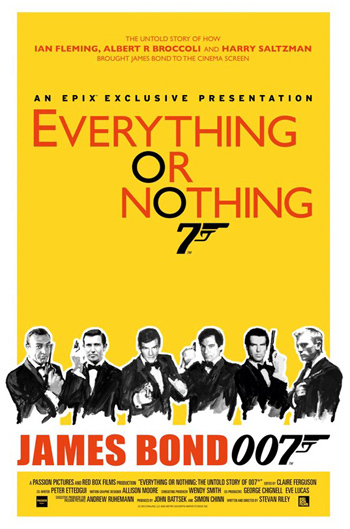 Overall, Everything Or Nothing is a great show for hard-core fan or casual 007 viewer. It just could have been even better without much more work. GRADE: A-Minus. UPDATE: We’re watching the documentary a second time. We didn’t mention how Lazenby says Broccoli and Saltzman “sent a girl” to his room to make sure the one-time male model was heterosexual. Producers Albert R. Broccoli and Harry Saltzman and the United Artists studio wanted the seventh film in the James Bond series to emulate Goldfinger. Bring back Ken Adam to design the sets? Check. Have John Barry do the music and have a title song performed by Shirley Bassey? Check. Hire Goldfinger’s director Guy Hamilton to come back? Check.And the most expensive step, offer Sean Connery so much he couldn’t refuse to reprise the role of 007? Check. It wasn’t that simple, of course. Making Diamonds Are Forever, which premiered 40 years ago this month, wasn’t as easy as taking the direct route from point A to point B. Broccoli and Saltzman signed American actor John Gavin to play Bond. In their minds, Bond was bigger than any one actor. It was UA, and executive David Picker, who wanted Connery back. And since UA paid the bills, that’s what happened. The financial package included $1.25 million (huge for those days), hefty overtime pay if the movie exceeded its shooting schedule and financing for other Connery film projects. Saltzman, again being prickly about music matters, didn’t like the title song that Barry wrote with Don Black. The volatile producer wanted to kill the song but cooler heads, particularly Broccoli’s, prevailed. The script also wasn’t as simple as devising “another Goldfinger.” The 1956 Ian Fleming novel didn’t have a larger-than-life Goldfinger style villain. Richard Maibaum took a literal approach to the idea of “another Goldfinger” with his initial draft, making the villain Auric Goldfinger’s twin brother. Eventually, Broccoli and Saltzman wanted another writer to revamp the material. Broccoli decided the hook should be based on a dream he had of discovering that his old friend, reclusive industrialist Howard Hughes, had been replaced by someone else. Enter American writer Tom Mankiewicz, devising a story where villain Ernst Stavro Blofeld has taken over the business empire of the Hughes-like Willard Whyte. Mankiewicz shared the screenplay credit with Maibaum in the final film. 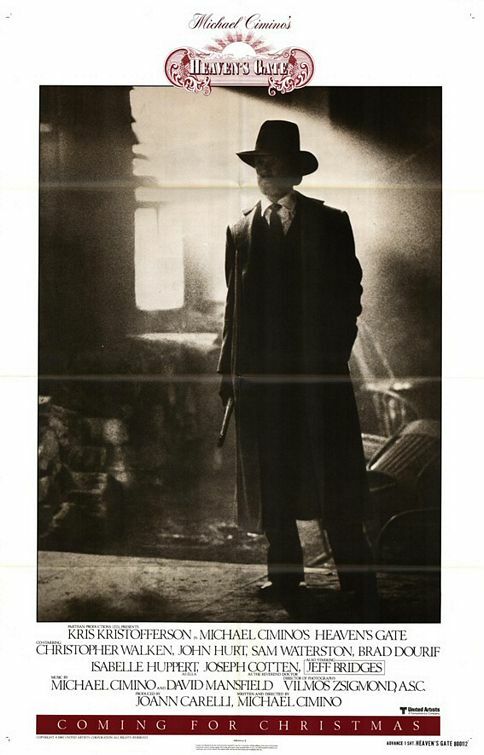 Under Mankiewicz, the script took a lighter tone. You can CLICK HERE for a more detailed examination of Mankiewicz’s “revised first draft,” which featured an actual final confrontation between Bond and Blofeld, something that wasn’t filmed. Mankiewicz’s early drafts also had more material from Fleming’s novel that also didn’t make the final cut. The movie isn’t ranked that highly in survey of HMSS editors, with grades ranging from a high of B to a low of D-Plus, and one of our staff saying it was the start of the “Dark Ages” of the series. Connery, though, generally gets a pass, even though he proclaimed during filming it had the best script in the Bond series up to that time. BOND FAN No. 1: I think Diamonds Are Forever is where it started getting goofy, don’t you agree? BOND FAN No. 2: Yeah, but it’s got Connery! In any case, the movie was a success financially, earning $116 million at the box office worldwide, more than either 1969’s On Her Majesty’s Secret Service or 1967’s You Only Live Twice. But it fell short of Goldfinger’s almost $125 million or Thunderball’s $141.2 million. It was also the end of an era, the last time Connery would work for Broccoli or Saltzman; when he next donned 007’s shoulder holster more than a decade later, Connery would be starring in a Bond production in competition with the Eon Production series. 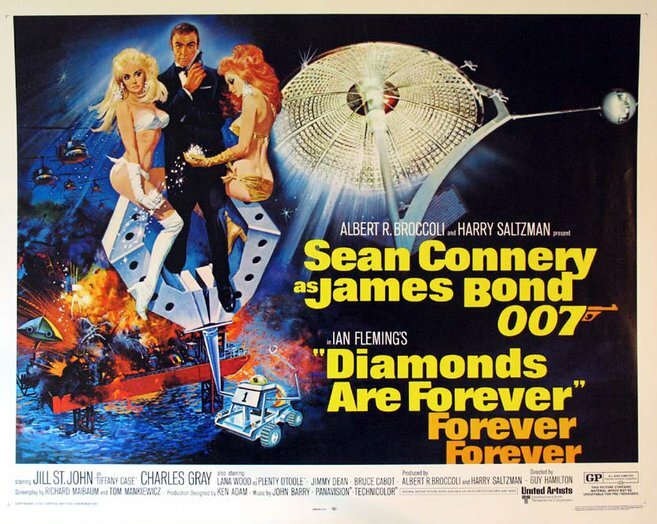 In any case, Diamonds did well enough to ensure that James Bond would return.